Hi loves, I am so excited for this time of the year since this is the time companies come out with their new Summer products, which is my favorite time of the year for makeup. 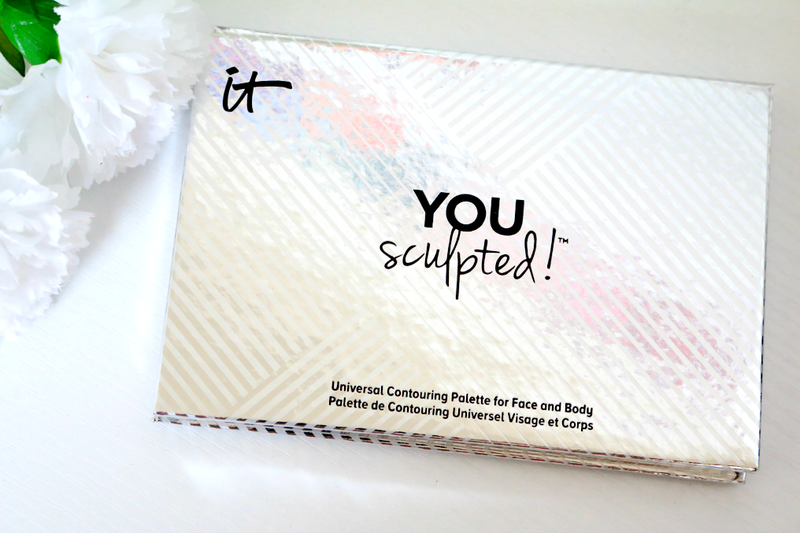 It Cosmetics recently came out with a new contour palette and this is the You Sculpted Universal Contouring Palette for Face and Body. Contour palettes have been huge the last couple of years, and I was so excited to see what I got this one because the shades are universal for both light and dark skin tones. 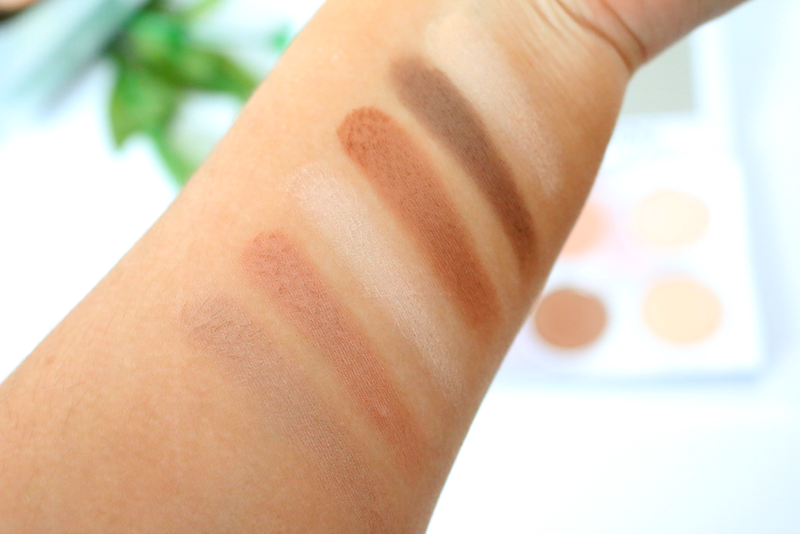 Most of the times, contour palettes either cater to one skin tone over the other, but this palette has many great light contour shades, and great deep contour shades as well. So if your very fair or very dark, there is a shade in here for you. This palette is currently at www.ulta.com and retails for $40.00. 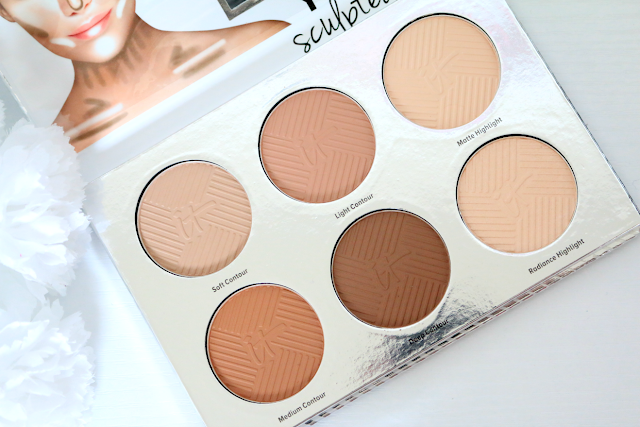 This palette comes with 4 contour shades and two highlight shades. 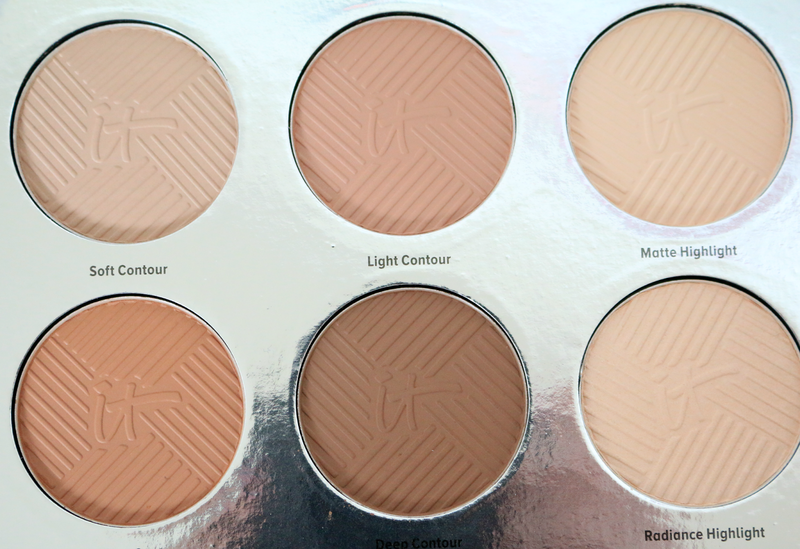 The lightest shade in the palette is Soft Contour, then you have Light Contour, Medium Contour and Deep Contour. Since I do have a fair complexion I will be sticking with the Soft Contour and Light Contour for now. But I think with the Deep Contour shade it would be a great color to create a beautiful shadow on light skin. It also comes with two highlights which is Matte Highlight and Radiance Highlight. My favorite of the two is the Radiance Highlight. The texture of the contour shades is incredible. They have a very buttery consistency. They have anti-aging collagen and silk which helps make the products very easy to blend. I find that these feel a lot better then the Kat Von D Shade & Light palette, and thats usually my go to contour palette. I think the highlight shades have a great buttery texture too. They shades are very pigmented so you will want to use a light hand at first. This is honestly a great overall palette. I also love the packaging. 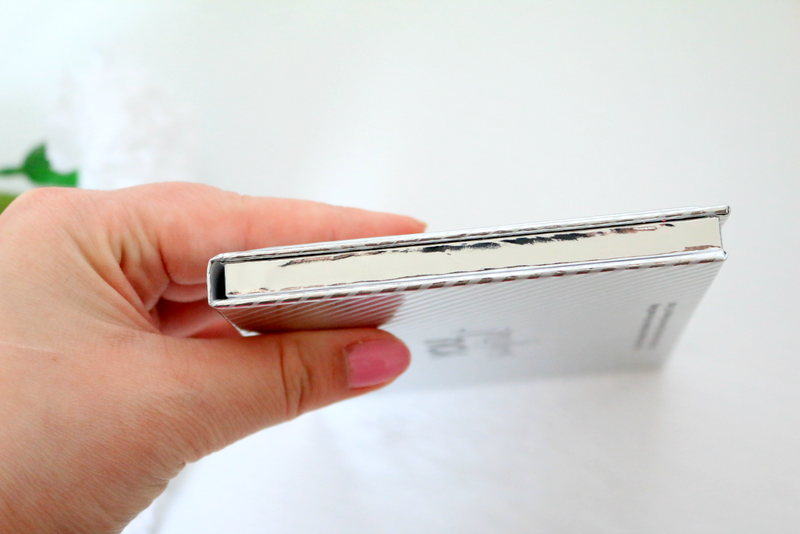 Its a very pretty reflective silver and the palette isn't extremely big either. 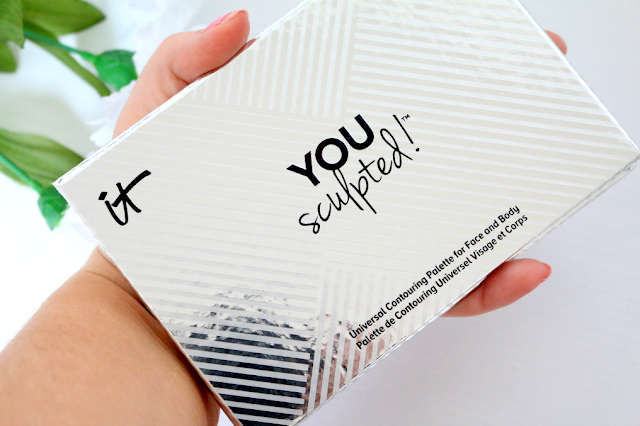 It's a little bigger then my hand and it is also thin as well so it makes it very easy to travel with compared to a lot of other contour palettes. I highly recommend this palette if you are looking for a great all in one contour/sculpting palette. I think you would really enjoy it as well! I am just so in love with the quality. This will for sure be my go-to palette this summer.